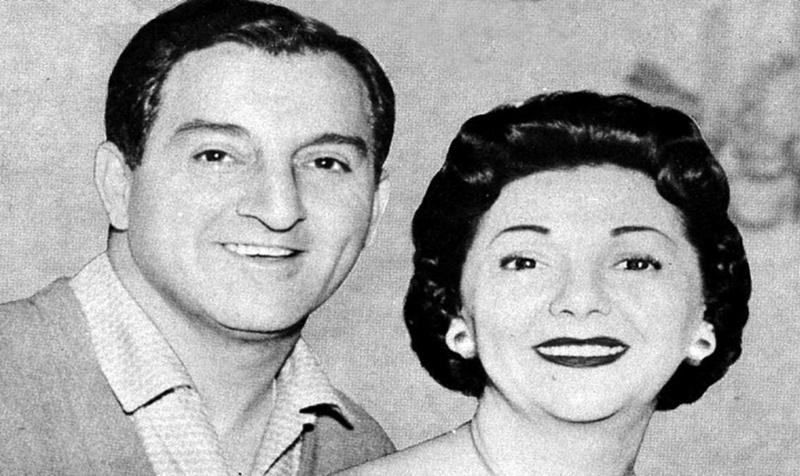 "Drene Time with Danny Thomas"
The story of many actors begins in tough circumstances which can only be overcome with hard work and a lucky break or two. Sometimes the lucky break turns out to be the important part of the story. Sometimes it really is just dumb luck which puts them in the right place at the right time, and others can claim to have made their own luck. What makes Danny Thomas's story so inspirational is that it unabashedly demonstrates the power of prayer as well as hard work and dedication. Thomas was a struggling nightclub performer with a young wife and a newborn baby girl in the winter of 1937. Down to his last few dollars, he went into a Detroit church, perhaps seeking inspiration perhaps simply desperate to get out of the cold Michigan winter. When the collection plate was passed, he reached into his pocket and placed seven dollars on the tray. As he passed the tray on he realized that it was the last seven dollars he had in the world. Even though he knew he had medical bills for his daughter to pay, he chose to believe that his contribution was going to someone who needed it more than he did. The next day, he got a call offering a radio job which would more than pay the medical bills. This sudden good fortune did not last, however, and two years later he was still struggling, now with two daughters to feed. Having experienced the power of prayer, he invoked St Jude Thaddeus, the patron saint of hopeless causes. His prayer was simply for direction with a promise, "help me find my way in life, and I will build you a shrine." The next day the phone rang again, and the young family was moving to Chicago for a new job in radio. He was born one of ten children to Lebanese Maronite Catholic immigrants in Deerfield, Michigan, 1912, and given the name Amos Muzyad Yakhoob Kairouz. He spent most of his youth in Toledo, Ohio, attending St. Francis de Sales church, Woodward High School, and the University of Toledo. He sold snacks in a burlesque hall and teamed with his brother Raymond to form a vaudeville act as kids. After high school, he began performing on WMBC Detroit's The Happy Hour amateur program in 1932 and anglicized his name to Amos Jacobs for work. He met a pretty Italian girl, Rose Marie Mantell, who had a singing program on the station, and they married in 1936. Their first daughter, Marlo, was born in November 1937, and he needed to pay $75 before mother and child could be released from the hospital when he placed his last seven dollars in the church collection basket. When the young family moved to Chicago in 1940, he borrowed his oldest and youngest brother's names to create the stage name, Danny Thomas, trying to hide the fact that he had returned to the nightclub circuit. Because nightclub work kept him on the road so much, Rose Marie had her daughters move into her room so when he got a break in his travels the girls had to "make room for Daddy", which, later, would become the title of the TV show which made him a star. He hosted The Danny Thomas Show, a 30-minute variety program on ABC Radio in 1942, and supported Don Ameche and Frances Langford on Drene Time beginning in 1946. Thomas began to gain national attention as "The Bickersons" shifty brother-in-law in the sketch portion of Drene Time and created the postman Jerry Dingle. 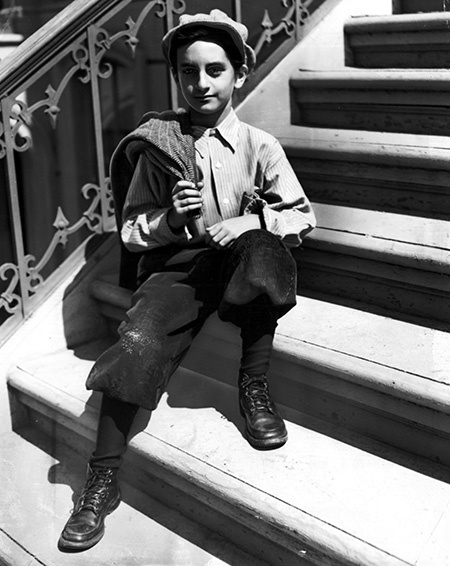 After co-starring with child actress Margaret O'Brien in The Unfinished Dance (1947) and Big City (1948), Thomas began considering how to fulfill the promise he had made to St. Jude. After much thought and discussions with influential friends, the idea of a children's hospital began to take shape. Thomas's longtime spiritual advisor, Monsignor Samuel Stritch, brought him into contact with a group of businessmen in Memphis, Tennessee (Stritch's hometown) who agreed to support the idea of a hospital dedicated to the premise that "no child should die at the dawn of life". Make Room For Daddy premiered on ABC-TV in the 1953 season. The show was made at Desilu Studios, and since it was shot in parallel with I Love Lucy, both programs often shared guest stars. Thomas's character became a widower off-season in its third year, a risky move for a sitcom at the time. It was retitled The Danny Thomas Show for its fourth season, but ABC decided to cancel it. 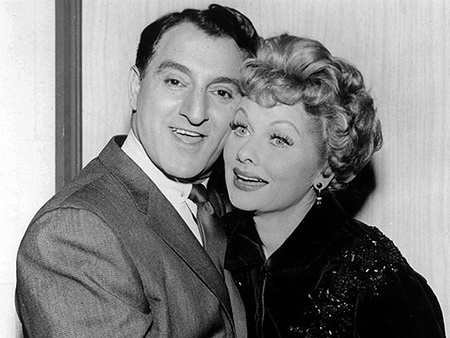 Since I Love Lucy was coming to an end, CBS picked up The Danny Thomas Show from 1957 to 1964. 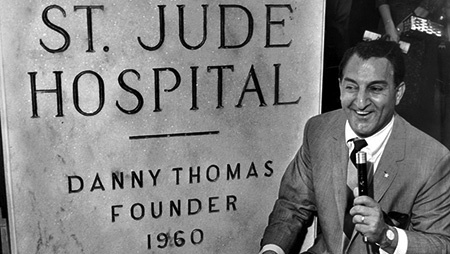 Danny Thomas succumbed to heart failure at Cedars-Sinai Hospital in Los Angeles on February 6, 1991. He was 79. Thomas was interred on the grounds of the St. Jude Children's Research Hospital. Although named for St. Jude, the facility is not a Catholic hospital and accepts patients from any faith and every state in the Union. Researchers at the hospital have made significant discoveries in the treatment of childhood cancer and other catastrophic diseases. The survival rate for the most common childhood cancer, acute lymphoblastic leukemia, was just 4 in 100 cases in 1962 and is now 94%. , I want to "thank you" for your dedication to old time radio. I, too, am part of a family-owned business (since 1979). I recognize the issues (and fun) of working with family. Best wishes to all! I've ordered many of your mp3 and will continue to do so. Thanks again and take care.